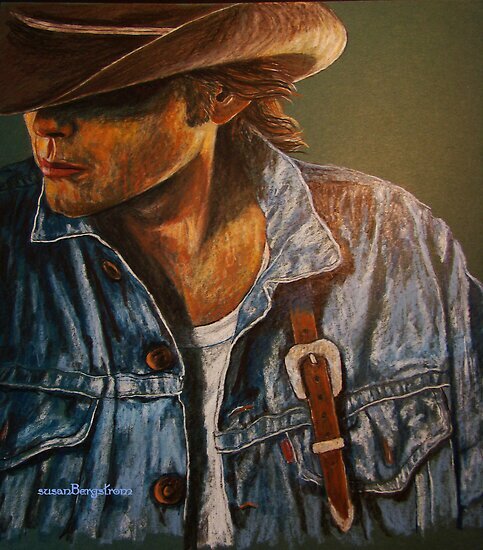 A Cowboy friend of mine wanted this portrait…and myself being a Cowboy Junkie…I sure didn’t mind . This drawing was drawn with a mixture of Pastel Pencils and Prismacolor Pencils, on card stock, acid free,low tooth, bonded artist drawing paper. Sprayed with a fixitive to prevent fading and ensure preservation.